Cebu Pacific Promo: Leading Philippine carrier Cebu Pacific, in partnership with the Manila International Airport Authority, kicks off the yuletide season by decking out its main Manila hub—the Ninoy Aquino International Airport (NAIA) Terminal 3—with décor that reflects the holiday cheer. NAIA Terminal 4—used by its inter-island domestic subsidiary Cebgo, will likewise be decorated for the holiday season by Cebu Pacific. From L-R: Mr. Alexander Lao, President and Chief Execurive Officer of Cebgo; Atty. JR Mantaring, CEB Vice President for Corporate Affairs; Mr. Milky Evangelista, MIAA; Mr. Dante Basanta, NAIA Terminal 3 Terminal Manager; Mr. Eddie Monreal, General Manager of MIAA; Mr. Michael Shau, Chief Operating Officer of CEB; Ms. Candice Iyog, CEB Vice President for Marketing and Distribution; Mr. Alex Reyes, CEB Vice President for Cargo; Ms. Bing Stoifl, Director for External Affairs. has been operating out of the NAIA Terminal 3 since 2008. 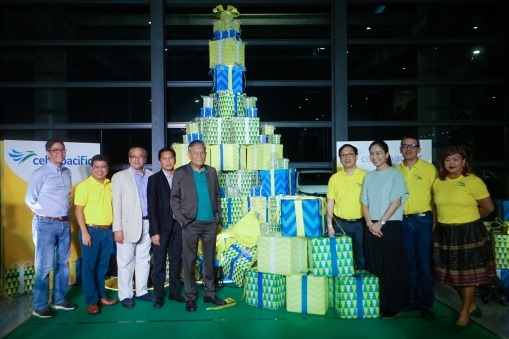 It has been our home for the last ten years and it is only fitting to mark this milestone with a festive holiday display," said Michael Ivan Shau, the newly-appointed Chief Operations Officer (COO) of Cebu Pacific. Cebu Pacific Promo: So we are almost approaching the end of the year. Have you achieved your travelgoals you have set at the beginning of the year? 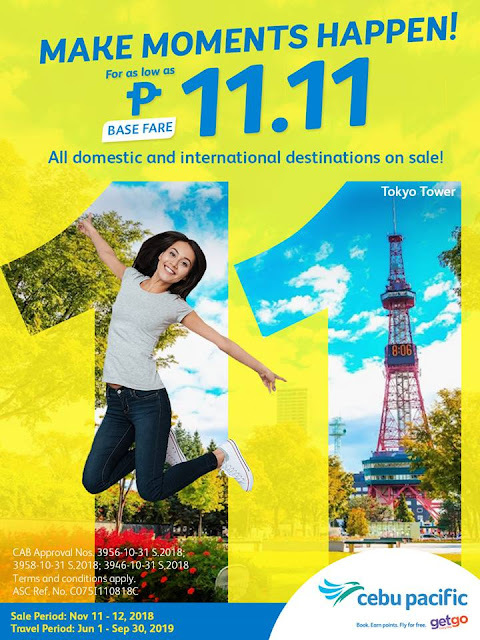 Luckily, Cebu Pacific has a new offer for us of a cheaper fare starting at Php 399 ALL-In fare coming from either Cebu or Clark. Whether your planning on a vacation with friends or with love ones, you can definitely extend it to March of next year. So do book your tickets ahead of time with this Cebu Pacific Promos. The next possible cheaper flight you can get is a trip to Boracay (Kalibo) or Tacloban. Yes, the famous beach known in the world for its pristine waters and white sand is now open to both local and foreign tourists. It's definitely back with a bang! If you're from Manila, you can avail a one way ticket at Php 499 only.